Puppies are ready for their new homes or training camp at 8 weeks of age. If needed, hand delivery to your front door is available. Please inquire for an estimate. 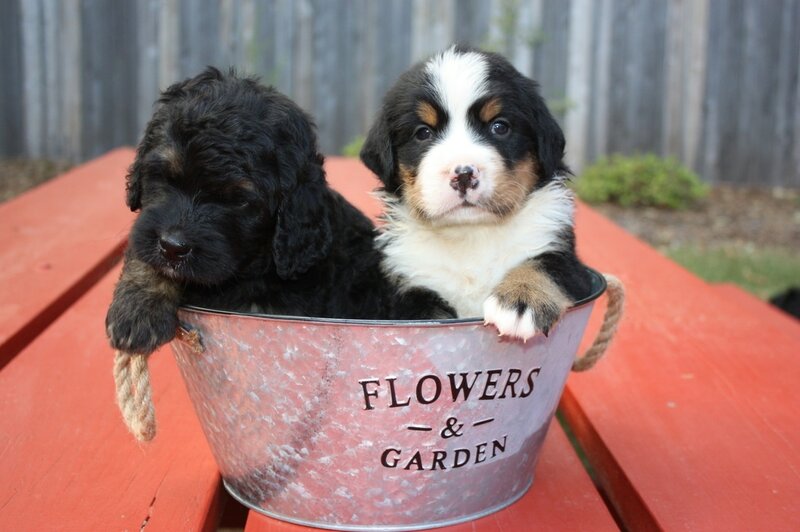 The $500 deposit is non-refundable - no exceptions- but transferable to another upcoming litter. In the unlikely event a breeding doesn't take deposit will be transferred to next Bernedoodle litter. 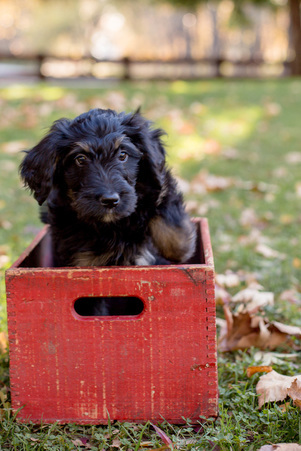 Please read the Puppy Adoption Process to learn about the process of puppy adoption. We accept personal checks, cashier checks, money orders or PayPal for the deposit. Please do not submit a deposit until Steps 1-2 of the Puppy Adoption Process have been completed. Mother Nature can sometimes be unpredictable. Coat color can vary as puppies age. We cannot guarantee color over time.